The world’s energy non-renewable resources are not finite. Thus, the key to energy independence and a cleaner future lies in energy storage. Any business has the opportunity to make the switch to energy independence by generating its own energy and storing it but to do this right, you need an expert on your side. Throughout the years, we at IPI AG have established ourselves as leaders and pioneers in the renewable energy and power storage industries. Our storage batteries are designed to stabilize the grid, help you control the energy flow and provide your company with an asset that represents your competitive advantage. We work with businesses to offer custom-tailored power storage solutions maximizing the self-consumption of local power generation, minimize energy supply interruptions and offer you more energy independence. In turn, this translates into greater business competitiveness, improved energy management, competitive ROIs and protection against increasing prices of energy or future brownouts. IPI AG partners with Durion, a leader in the power storage research, to construct and operate cutting-edge energy storage systems (LiFePO and NCM). The LiFePO and NCM both provide superior grid stabilization and improve control of the feed coming from your solar or wind power plants. Recently, Durion successfully completed the first large battery-powered plant in Europe which was connected to the grid in 2013. 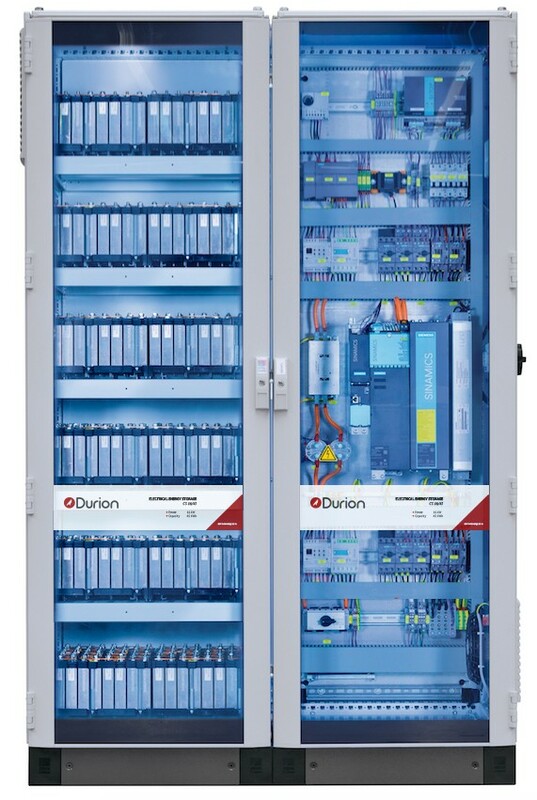 At this time, Durion is also working on building a 125 MW / 200 MWh battery storage system in Germany, which will be the largest system for frequency control on the continent. Read more.